I knew as soon as I saw this recipe on Marisa's page, Food in Jars, I wanted to try it. Oh yes, it is amazing! Sticky, sweet with a little kick, it is the perfect condiment for burgers, brats and more. Serve it over crostini with a savory cheese, or on a cheese board with a variety of hard cheeses or even over cream cheese on crackers. 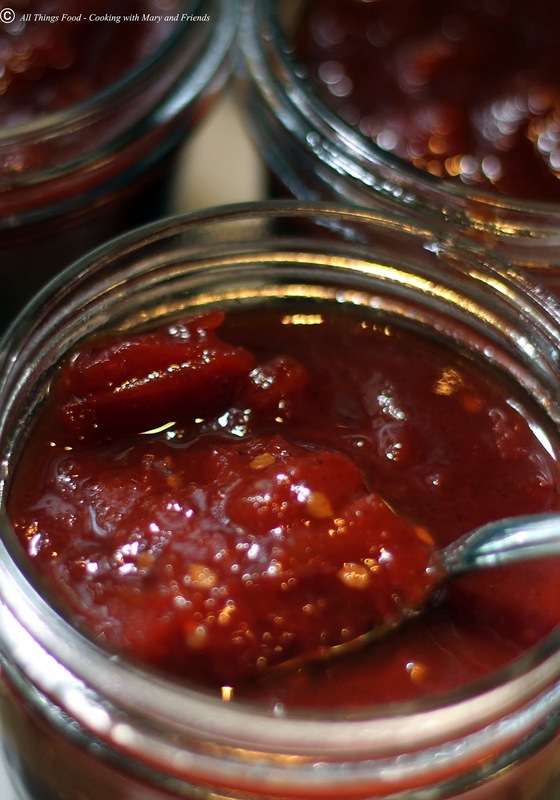 IT is a delicious condiment you can use in a multitude of ways. Combine all ingredients in a large, non-reactive pot. Bring to a boil and then reduce temperature to a simmer. 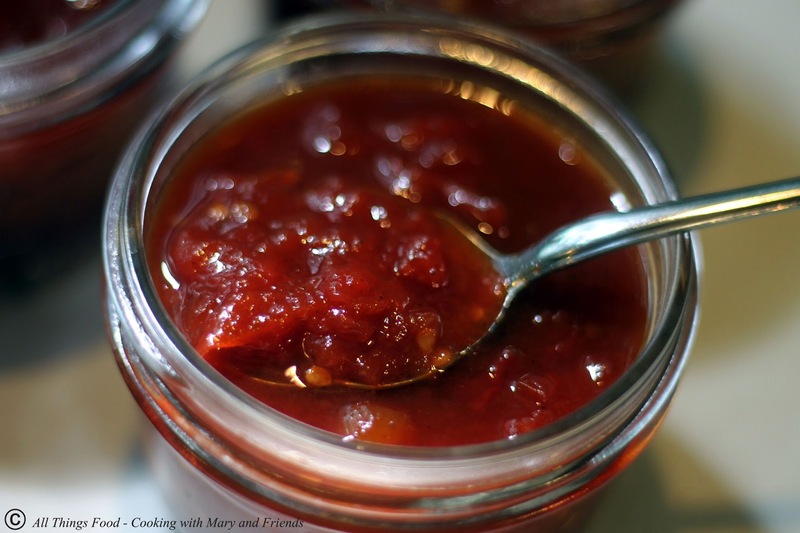 Stirring often, simmer the jam at a steady low boil/simmer, until it reduces and becomes sticky and jammy. This will take approx. 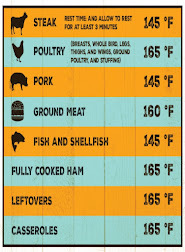 2 hours, depending on how high you keep your heat. 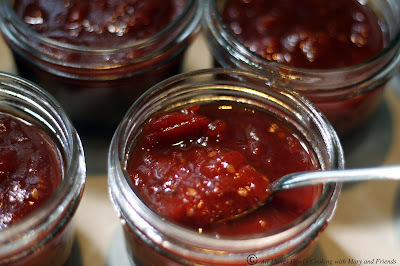 When the jam has cooked down sufficiently, remove from heat and fill jars, leaving 1/4 inch of head space. Wipe rims, apply lids and rings. Process in a boiling water bath for 20 minutes. Remove jars and allow them to cool 24 hours undisturbed on a kitchen towel on your kitchen counter top. Store jars in a cool, dark place for up to one year. Opened jars must be refrigerated.